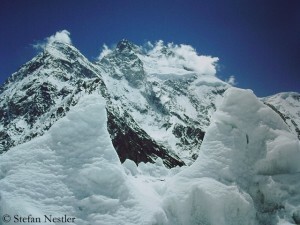 The British-American mountaineer Vanessa O’Brien also reached this height. “Camp 4”, the 52-year-old tweeted concisely, with a link to her GPS tracker. 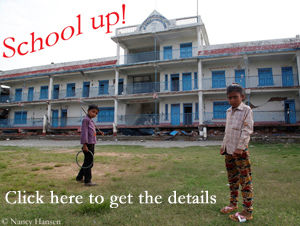 Like Sigurjonsson, O’Brien also belongs to the team of the Nepalese operator Dreamers Destination. Vanessa tries to climb K2 for the third year in a row. If she reaches the summit, it would be her fifth eight-thousander. Today the team of the Austrian expedition operator Furtenbach Adventures descended. “Sadly weather on K2 played it’s own game again,” the team said. “Avalanche danger became dramatically high very quick so team decided to stop and descend to Base Camp. We do not want to send our Sherpas up in that danger.” The team members arrived safe and sound at the foot of the mountain and want to go home tomorrow. 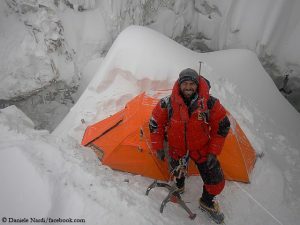 “We are still sitting in the Base Camp waiting for weather to improve,” wrote Andrzej Bargiel today on Facebook. The 29-year-old Pole wants to ski down K2 for the first time from the summit without interruption to Base Camp. However, Andrzej and his team are running out of time. 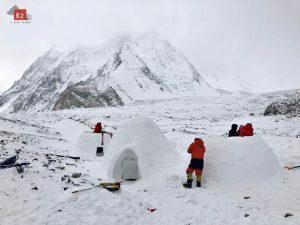 On the neighboring eight-thousander Broad Peak, the Spaniard Oscar Cardiach and his companions reached Camp 3 at 7,200 meters and are planning to climb up to the 8051-meter-high summit on Thursday, if the conditions allow an ascent. 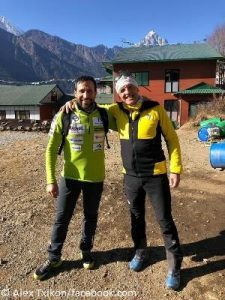 Cardiach’s team includes Tunc Findik, who has already summited ten eight-thousanders, making him the most successful high altitude climber of Turkey, Muhammad Ali “Sadpara”, who was among the winter first ascenders of Nanga Parbat in 2016, and Yosuf, a Balti HAP (High Altitude Porter). 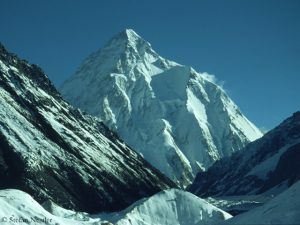 Broad Peak is the last of the 14 eight-thousanders which is still missing in the collection of the 64-year-old Catalan Cardiach. Oscar has climbed all 13 eight-thousanders so far without bottled oxygen.